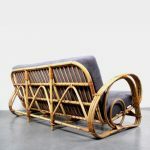 Materials: Rattan, seat and back with original spring cushions. 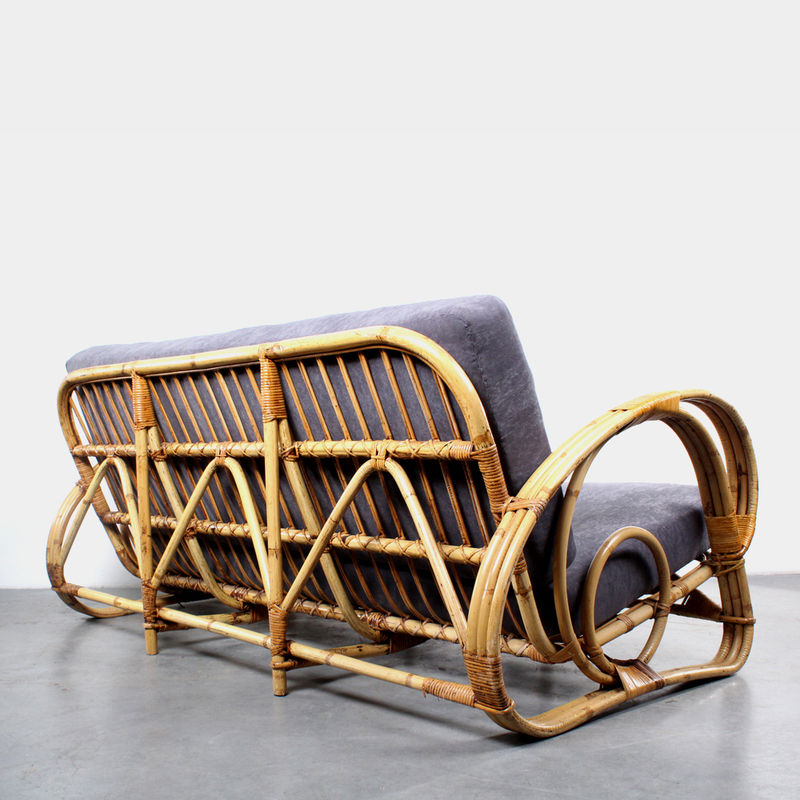 Condition: Good, withrestauration tot the rattan. Fabric is recently.